A $485 million contract has been signed between Lockheed Martin Corporation (NYSE:LMT) and the US Air Force according to which the company will be producing and providing the US Air Force with Sniper advance targeting pods. Lockheed Martin’s (NYSE:LMT) Fire Control and Missiles department will be manufacturing these products. This contract will last for three years and will end on 26th March 2018. The Sniper advance targeting pods that the company will be working on are used to detect long-range targets as well as surveillance targets. The US Air Force has been using this technology for a while but now due to the growing security threats the US government has decided to upgrade the system.Lockheed Martin Corp. (NYSE:LMT) is focusing in the ISR in an attempt to expand its horizon in this field and also acquired Zeta Associates along with Astrotech Space Operations. Both the companies enabled Lockheed Martin Corp. (NYSE:LMT) to provide advance defense technology equipments and the fact that Lockheed was the main contractor for the technology it proved beneficial for the US government. In the fiscal year 2014 Lockheed Martin Corporation (NYSE:LMT) bought both companies for $898 million. Lockheed Martin Corp. (NYSE:LMT) managed to gain revenues of $45.6 billion in the fiscal year 2014 while in the fiscal year 2013 the company had gathered revenues of $45.3 billion. The company’s Missiles and Fire control department gathered revenues of $7.6 billion in fiscal year 2014 and hence contributed 16.8% to the overall revenue of the company. Although Lockheed Martin’s (NYSE:LMT) revenues saw a decline in the fiscal year 2013, however the company managed to maintain its revenue and did not show any negative growth in the fiscal year 2014. 68% of the $7.6 billion revenue that the company’s Missiles and Fire control department generated in the fiscal year 2014 came from the contracts that were given to the company by the US government. Although US Department of Defense is placing orders with Lockheed Martin (NYSE:LMT), the spending amount has declined which is why the company is now looking at the international market. As of now the US government is the main customer for Lockheed Martin’s (NYSE:LMT) products but while this is a beneficiary there is a down side to it as well. Due to the decrease in the spending the company is looking to expand its horizons and keeping its focus on the international market and is also signing contracts for smaller enterprises.Keeping in mind the prospects of the international market Lockheed Martin Corporation (NYSE:LMT) signed a $7.8 billion contract with Korea Aerospace Industry. This partnership with the South Korean company requires Lockheed Martin Corporation (NYSE:LMT) to not only produce but also deliver 120 jets under its KF-X program. Lockheed Martin Corp. (NYSE:LMT) is required to complete the order as well as deliver the jets by the year 2025. 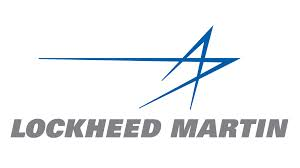 This order from the Korean company is expected to boost the revenues of Lockheed Martin Corp. (NYSE:LMT) and will prove beneficial for the company in the long run.